After the great content on your blog, link building is the most essential thing in building a great blog and making it successful. Link building is the very essential part in the SEO of any site and hence traffic. After the penguin effect, spam link building methods no longer exist. At least for those sites which want to be in the long run else that will get penalized by Google and so the failure of the site. There is no doubt about the effect of Guest blogging, social media, forums and blog commenting but if you really want Google to come to you, you need to do some unconventional and powerful ways to build links. Today we’ll be discussing about the 3 uncommon and very powerful link building techniques. But these are the methods that every blogger or webmasters are using. The biggest risk with these backlinks techniques are, if sometimes, Google will find many of the links coming from those sites which are not relevant to your niche, you may get penalized also. However if you’ll use the above link honestly, you will manage to get lots of links. But if you want to get maximum organic traffic without doing much work daily for traffic, you need to try something that is not ordinary, that is not conventional and not in much practice. These are the methods where there is almost no chance to get penalized by the search engine and also it’s not much time consuming also. With little efforts, you can easily implement these techniques and believe me not only you’re going to get good rank in Google but also you’ll get much referral traffic too. So this will like win- win situation for you. Question and Answer sites are the great source of links as well as traffic. These sites are the hub of targeted readers. Only those readers post questions on these sites that either didn’t find the answer in search engine or didn’t get the genuine answer. Once you’ll be able to get those persons on your site/blog, they’ll be your loyal and regular readers. So target these sites to get natural links as well as huge traffic. Remember Q&A sites are not same as the forums. In forums, people usually discuss on some topics whereas on Q&A sites, people generally ask questions and experts provide the solutions. Keep track of the questions that users ask on these sites. Once you find any question that belong to your niche or the question for which you’ve answer on your blog/site, write a short description about the same and at the end write for more details, please check this link and place the link of your blog containing the answer or article explaining the same question. This is one way to get traffic and links. By placing the link you’ll get the quality link and once the person who has asked the question will click on that link, you’ll get visitor also. The second tip is little bit lengthy. But believe me going to give you the benefit in many ways. Suppose any user of Q&A site has asked a question that belongs to your niche but you don’t have any post explaining the same. However you know the answer, write a blog post on your blog explaining that topic in detail and also prepare a short note on that. Now visit the same question again and write the short answer and place the link of your blog post at the end and get sure to get natural link as well as huge traffic. By the second method, you’ll not only get quality traffic and links but also you’ll have increased blog post also. Remember these are the users who are the most targeted and once you’ll manage to impress them, they’ll not mind visiting you again and again. This is also one of the best ways to get links and visibility and that too for free. You just have to find an influencer from your niche and have to interview him/her. Select only those people who have good social presence and have weight in the words. It’s not that difficult to find such persons. Once you’ll publish the interview on your blog, the person whom you interviewed will share the post and so you’ll have lots of traffic. Many people give links of their interview on their profile page and by this way, you’ll get quality links also. This is also of the untapped way to get maximum exposure, traffic and links. This is little bit lengthy method but once you’ll be able to create an e-book, believe me that will be a long way promotion. Just you’ve to create a good e-book on any topic. Suppose you’re going to write an e-book on on-page search engine optimization. So write each and every thing in that e-book and make it around 15-20 pages with about and disclaimer page. Now once you’re done with the e-book, you’re going to get benefit in many ways like, either you can sell it at very low cost or can give to those visitors who have subscribed you and so on. These were the 3 most powerful and less tapped area to create links. By using the above methods, you’re not only going to get good links but also you’ll get more traffic also. I hope you’re using any of the above methods. If not, please start with it and believe me in couple of days you’ll see the outcome. Also please let me know the methods used by you to increase the links through comments. If you enjoyed reading this post, please share this on Facebook and twitter. 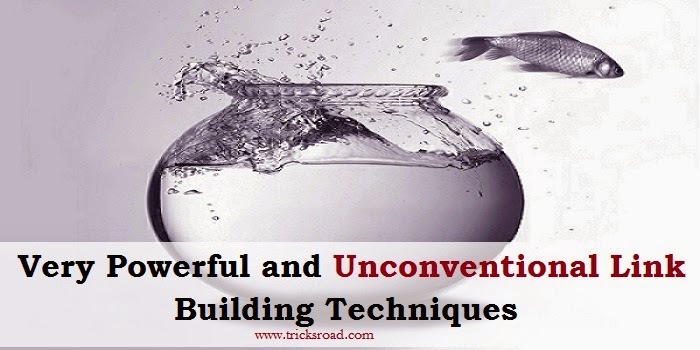 8 comments to ''3 Very Powerful and Unconventional Link Building Techniques"
Thank you for sharing these powerful tips. I just bookmarked the other links you suggested so I can go take a read tonight. Linkbuilding is still very important I believe and besides from writing quality content we still need to find other ways of building good backlinks that Google is ok with. I like your idea about the question and answer websites. I had not thought of that. But I can see how this can be an untapped market, and especially so when you find questions in your niche that you can answer. If not, as you mentioned, we can go and write a blog post about it as well. Interviewing an influencer in our niche is powerful because not only will you be able to share a quality interview with your audience, the person being interviewed will send folks over to your blog to read or listen to that interview. Great idea! Oh yes, the old ebook technique. It surely still is effective. With technology and coupled with the fact that many are thirsty for knowledge, an ebook definitely can bring you hoards of traffic, plus you can make profits from the ebook as well. Thanks for sharing some awesome tips my friend. Great too see your comment and truly speaking i have learnt a lot in commenting styles from you and few other great bloggers and thanks for bookmarking this article. Q&A sites are the best way to create backlinks as you're helping the people and most of time this will not treated as spam links if you are not pasting the links just for the shake of backlinks. Also agree with you that e-books are the old methods but still it has a great importance. Thanks for the beautiful feedback. Have a nice weekends !! These are some powerful tips yo have given there. Link building is getting more imortant and even more difficult everyday. Question and answer sites are the best way to get targeted traffic and increase the traffic flow. But one should always be careful while using them and not go to the extent of spamming them. 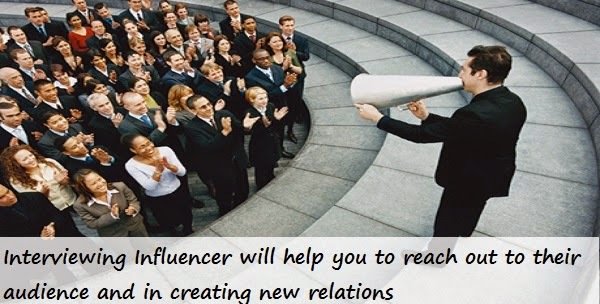 Interviewing an influencer is one of the best things one can do for link building. It gives your post the maximum exposure it can get. Though it is not very easy to interview an influencer. The efforts are well worth the rewards. Ebook. There are lterally so many things that you can do with your ebook. It opens gates to so many things while inducing seriousness and professionalism. Thanks for sharing these techniques. Q&A sites, e books are the best ways to build quality links and this is not spam too as this helps others. Thanks for your valuable feedback. This is a wow article. Like I'll always say, 'backlinks are the bacbones of every strong website' backlinks are what keeps a website alive, but unfortunately, not all backlinks are worth it I hope you agree with me :O. There are backlinks and there are backlinks I hope you get me? Ofcourse a lot of people have found themselves getting thousands of spammy backlinks to their sites, these links niegther helps them rank on search engines nor does it help in improving their websites autority, all it does is 'cover the website with a veil' so as search engines get blind at it. But here you have shared sure tips for us to build websites, and they are quite nice, I do agree the that of Q&A sites, a person is liable to drive tons of traffic from there. Thanks for sharing , and do have a wonderful day ahead. And i strongly agree to you that backlinks are very much important but not all. We should build only quality backlinks for our blogs or websites. Sammy backlinks neither helps in any ways and in fact after panda update there come a chance to get penalized also from Google. Thanks again bro for sharing your beautiful thoughts and have a great weekends !! Superb article and really unconventional backlink building techniques that I have never seen. The tips you have listed are spot on. Backlinking is still very important especially when it comes to SEO. I was nodding my head and saying wow! when you mention Q/A sites as you are right that one can get quality back links as long as your provide value to those answering the questions. Also interviewing an influencer in a niche is great and I have seen how this can icrease traffic to one's blog. Thanks for a wonderful post. Thanks Ikechi for your kind words and appreciation. These words always motivated me towards writing good posts. And i agree with you, backlinks plays a very important role when it comes to SEO. Q&A sites are the great source of backlinks. 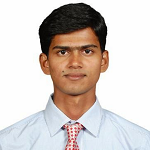 In fact these sites provides quality backlinks which helps to increase the SERP. Thanks for sharing your wonderful comments and have a great weekend! !